Kick off your visit on the 2nd (Sun): revel in the low prices at Brunberg Candy Factory Shop, don't miss a visit to Porvoo Old Town, then admire the masterpieces at EMMA - Espoo Museum of Modern Art, and finally surround yourself with nature on Haltia - The Finnish Nature Centre. On the next day, cool off at Serena Water Park. For maps, ratings, and other tourist information, refer to the Porvoo online attractions planner . If you are flying in from Netherlands, the closest major airport is Helsinki Vantaa Airport. 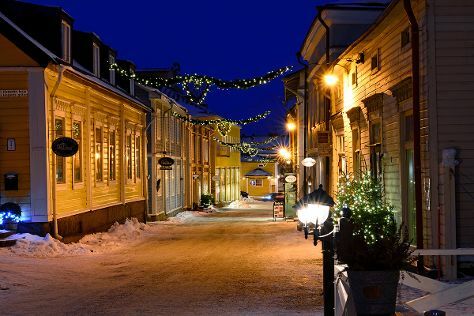 In December, daytime highs in Porvoo are 1°C, while nighttime lows are -4°C. Finish up your sightseeing early on the 3rd (Mon) so you can travel back home.